Algiers are an industrious band, it’s hard to argue against that. Fresh from a tour supporting Depeche Mode in Europe, and only a couple of weeks away from hitting the American highways with !! 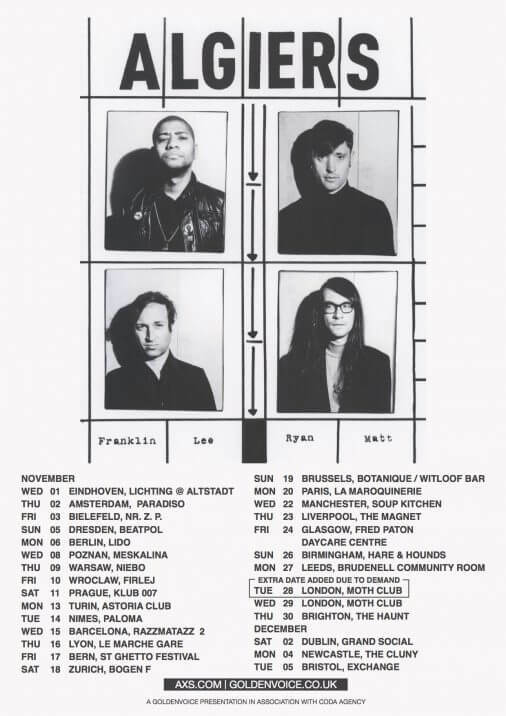 !, our working class heros have announced four top-up dates to November’s UK sprint and a further eight North American shows. One of the four newly announced UK dates will be a second night at Hackney’s Moth Club, with tickets going on sale Tuesday 22nd August 10:00.